Quake Global's specimen tracking solutions deliver hospitals greatly improved processing time with 99.98% accuracy of specimen identification. From the specimen collector to the specimen processor and beyond; follow the route of each specimen to ensure accurate data and delivery. Healthcare RFID infastructure and software provides actionable analytics relevant to specimen workflow. Historical data is used to determine inefficiencies and reduce specimen dwell times. 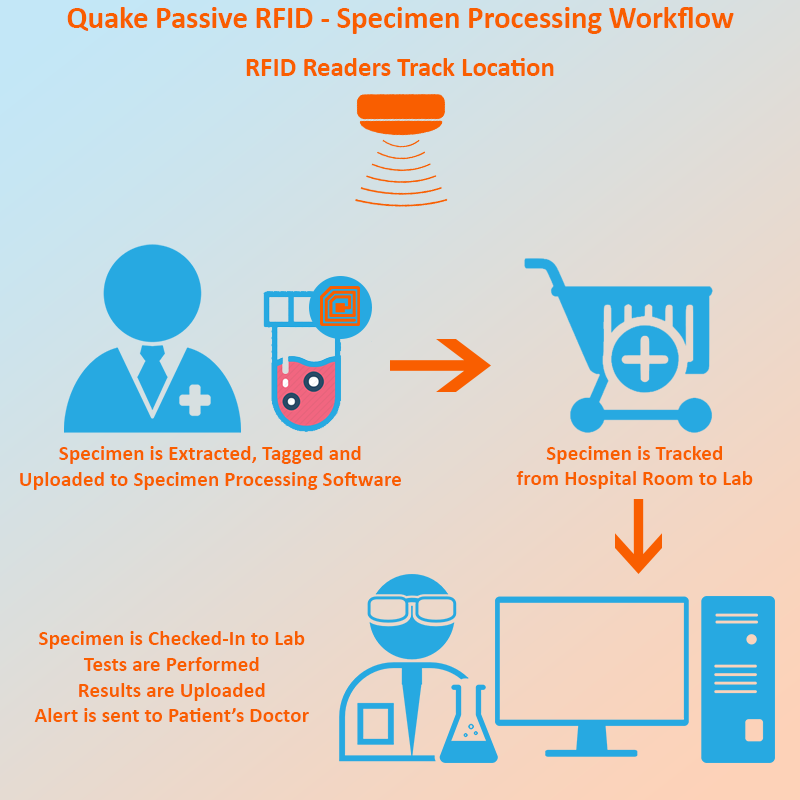 Location data is reported to Quake’s RFID software (iAM) allowing hospitals to build complete specimen tracking history reports. Automated alerts are generated for collection, arrival and processing completion; ensuring optimization of the specimen workflow. iAM provides hospitals with secured status monitoring via private web browser for greater visibility.